A decade ago the Minnesota Board of Medical Practice accused Dr. Faruk Abuzzahab of a “reckless, if not willful, disregard” for the welfare of 46 patients, 5 of whom died in his care or shortly afterward. The board suspended his license for seven months and restricted it for two years after that. But Dr. Abuzzahab, a Minneapolis psychiatrist, is still overseeing the testing of drugs on patients and is being paid by pharmaceutical companies for the work. At least a dozen have paid him for research or marketing since he was disciplined. Medical ethicists have long argued that doctors who give experimental medicines should be chosen with care. Indeed, the drug industry’s own guidelines for clinical trials state, “Investigators are selected based on qualifications, training, research or clinical expertise in relevant fields.” Yet Dr. Abuzzahab is far from the only doctor to have been disciplined or criticized by a medical board but later paid by drug makers. One of Dr. Abuzzahab’s patients was David Olson, whom the psychiatrist tried repeatedly to recruit for clinical trials. Drug makers paid Dr. Abuzzahab thousands of dollars for every patient he recruited. In July 1997, when Mr. Olson again refused to be a test subject, Dr. Abuzzahab discharged him from the hospital even though he was suicidal, records show. Mr. Olson committed suicide two weeks later. In its disciplinary action against Dr. Abuzzahab, the state medical board referred to Mr. Olson as Patient No. 46. In an interview, Dr. Abuzzahab dismissed the findings as “without heft” and said drug makers were aware of his record. He said he had helped study many of the most popular drugs in psychiatry, including Paxil, Prozac, Risperdal, Seroquel, Zoloft and Zyprexa. The Times’s examination of Minnesota’s trove of records on drug company payments to doctors found that from 1997 to 2005, at least 103 doctors who had been disciplined or criticized by the state medical board received a total of $1.7 million from drug makers. The median payment over that period was $1,250; the largest was $479,000. The sanctions by the board ranged from reprimands to demands for retraining to suspension of licenses. Of those 103 doctors, 39 had been penalized for inappropriate prescribing practices, 21 for substance abuse, 12 for substandard care and 3 for mismanagement of drug studies. A few cases received national news media coverage, but drug makers hired the doctors anyway. The Times included in its analysis any doctor who received drug company payments within 10 years of being under medical board sanction. At least 38 doctors received a combined $140,000 while they were still under sanction. 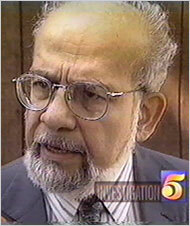 Dr. Abuzzahab received more than $55,000 from 1997 to 2005. Drug makers refused to comment, said they relied on doctors to report disciplinary or criminal cases, or said they were considering changing their hiring systems. “We recognize that we need to modernize the F.D.A. approach in keeping people safe in clinical trials,” Dr. Woodcock said. Drug makers are not required to inform the agency when they discover that investigators are falsifying data, and indeed some have failed to do so in the past. The F.D.A. plans to require such disclosures, Dr. Woodcock said. The agency inspects at most 1 percent of all clinical trials, she said. Karl Uhlendorf, a spokesman for the Pharmaceutical Research and Manufacturers of America, said the trade group would not comment on The Times’s findings. Dr. David Rothman, president of the Institute on Medicine as a Profession at Columbia University, said the Times analysis revealed a national problem. “There’s no reason to think Minnesota is unique,” Dr. Rothman said. ¶Dr. Barry Garfinkel, a child psychiatrist from Minneapolis who was convicted in federal court in 1993 of fraud involving a study for Ciba-Geigy. His criminal case made headlines across the state. From 2002 to 2004, Eli Lilly paid him more than $5,500 in honoraria, according to state records. Dr. Garfinkel said in an interview that he had wondered why drug makers would hire him as a speaker considering his statewide notoriety. He decided that “they’re hiring me to influence my prescribing habits,” so he quit giving sponsored talks and taking money from drug makers, he said. ¶Dr. John Simon, a Minneapolis psychiatrist who for years shared an office with Dr. Abuzzahab and was told by the state medical board in 1994 to complete a clinical training program after it concluded in a report that he “frequently makes abrupt and drastic changes in type and dosage of medication which seem erratic, not well considered and poorly integrated with nonmedication strategies.” He prescribed addictive drugs to addicts and failed to stop giving medicines to patients suffering severe drug side effects, the board concluded. Asked about Drs. Garfinkel and Simon, Phil Belt, a spokesman for Eli Lilly, said that both doctors were licensed to practice medicine and that the company relied on doctors to report disciplinary actions or criminal convictions against them. ¶Dr. Ronald Hardrict, a psychiatrist from Minneapolis who pleaded guilty in 2003 to Medicaid fraud. In 2004 and 2005, he collected more than $63,000 in marketing payments from seven drug makers. In an interview, Dr. Hardrict said it was “insulting” and “ridiculous” to suggest that income from drug makers might influence doctors’ prescribing habits. “I bought the Mercedes because it has air bags, and I use Risperdal because it works,” Dr. Hardrict said, referring to an antipsychotic medicine for schizophrenia. Johnson & Johnson, the maker of Risperdal, paid Dr. Hardrict more than $30,000 in 2003 and 2004. Srikant Ramaswami, a spokesman for Johnson & Johnson, said the company removed Dr. Hardrict as a speaker in 2004 when, as a result of his conviction, his name appeared in a government database. In cases involving Dr. Abuzzahab over 15 years in the 1980s and ’90s, the medical board found that he repeatedly prescribed narcotics and other controlled substances to addicts, renewing one patient’s prescriptions six weeks after the patient was jailed and telling another that his addictive pills should be thought of as “Hamburger Helper.” He prescribed narcotics to pregnant patients, one of whom prematurely delivered a baby who soon died. In explaining his abrupt discharge of the suicidal Mr. Olson, Dr. Abuzzahab told the medical board that “if a patient is determined to kill himself, he can’t be prevented from doing it and hospitalization postpones the event,” records show. Separately, the F.D.A. in 1979 and 1984 concluded that Dr. Abuzzahab had violated the protocols of every study he led that they audited, and reported inaccurate data to drug makers. He routinely oversaw four to eight drug trials simultaneously, often moved patients from one study to another, sometimes gave experimental medicines to patients at their first consultation, and once hospitalized a patient for the sole purpose of enrolling him in a study, the F.D.A. found. A simple Google search reveals Dr. Abuzzahab’s 1998 medical board disciplinary file, which was reported at the time by a local newspaper and a TV station. In 1998, The Boston Globe featured Dr. Abuzzahab in a front-page article questioning the safety of psychiatric drug experiments. And in 1999, the NBC program “Dateline” did a segment about a woman who committed suicide while in a drug experiment he supervised. In June 2006, the medical board criticized Dr. Abuzzahab, this time for writing narcotics prescriptions for patients he knew were using false names, a violation of federal narcotics laws. Despite all this, drug makers continued to hire him. Dr. Abuzzahab’s résumé lists 11 publications or research presentations since 2000, when the medical board lifted its restrictions on his license. Takeda, a Japanese drug maker, confirmed that Dr. Abuzzahab was doing a study financed by the company on its sleep medicine, Rozerem. Eisai, another Japanese drug maker, said that although Dr. Abuzzahab had signed a clinical trial agreement with the company to study its Alzheimer’s drug, Aricept, it told him two days after a reporter asked for comment on the case that he was not qualified to be an investigator. And at AstraZeneca, for which Dr. Abuzzahab said he had performed clinical trials and still gave drug marketing lectures, a spokesman said the company was “concerned” about Dr. Abuzzahab’s disciplinary record. “We have our own internal processes for dealing with these matters, which are under way,” said Jim Minnick, an AstraZeneca spokesman. The Minnesota records often fail to distinguish between drug company payments to doctors for research and for marketing, so it is sometimes impossible to determine why doctors were paid. Some doctors, like Dr. Abuzzahab, clearly performed both research and marketing. A Merck spokesman declined to comment. This page contains a single entry by sal published on June 4, 2007 11:43 AM. Health concerns urge Wi-Fi removal was the previous entry in this blog. Analysis: Antipsychotics linked to death is the next entry in this blog.